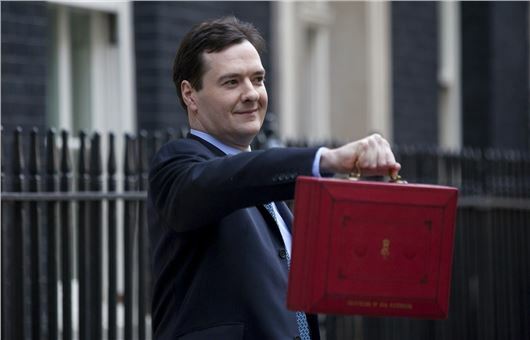 George Osborne has announced sweeping changes to the VED system in his Summer Budget 2015 to account for the rising number of low emissions vehicles. From 2017, all new cars will be taxed against three new VED bands - zero, standard, premium - with taxation calculated on a combination of emissions and the list price of the vehicle. The changes will not impact existing cars on the road. There will be a flat standard rate of £140 for all new cars except those emitting zero CO2. Cars with a list price above £40,000 will pay an additional £310 per year - £450 in total - for the first five years in which the standard rate is paid. The move comes as the Chancellor confirmed that the current VED system is unworkable, with three quarters of all new cars set to qualify for zero VED from 2016. From 2020-21 the government will spend all of the revenue raised from VED on the road network only. Some might argue that the new scheme has little to do with reducing emissions but more to do with raising revenue. Assuming that the personal income to purchase the vehicle has been ethically earned, it is grossly unfair to penalise a buyer for pending more than £40k on a car with green credentials. If someone chooses a BMW i8 over an old Ferrari they should not be penalised. It is a disgrace that for example Tesla and their customers should similarly penalised if the car has zero emissions. Arguably the government should be penalising on high emissions NOT list price. Manufacturers invest huge ammounts in developling & making zero or lower emission cars & considering VED rates.....only for the chancellor to move the goalposts. I totally agree folk who are relatively rich should pay more tax but this is arguably a lazy and thoughtless way to get it. Arguably more should be done to look at currently legalised corporate tax evasion rather than punishing folk for spending a relatively mere £40k on many cars which are far cleaner than many others. Top points to the chancellor for demotivating manufacturers to make lower emission premium vehicles. At the moment, 75% of car owners are paying zero tax. Every vehicle owner should be paying tax, the whole point of vehicle tax is to fund maintenance of UK roads. Well, Little George has gone thank goodness, maybe the present Chancellor will have a brain. Vehicle drivers already pay taxes proportionate to their usage (Fuel Tax). If VED is supposed to be the tool for funding road maintenance how is it fair that a vehicle costing £39K should pay less than a car costing £40K? What is more concerning is the confusion around the definition of List Price. Joe down the road has exactly the same car as me but I have a tow bar. That tow bar has just cost me an extra £310 in tax because my car now costs just over £40K. If I had added an aftermarket towbar I would end up with the same result but will pay less tax! Madness! Is a towbar tax actually the way forward?